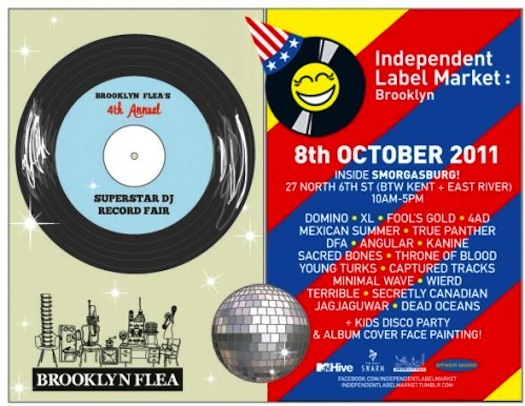 Brassland will be sharing a table with our friends at New Amsterdam at the Brooklyn Flea in Brooklyn, New York as part of an Independent Label Market being organized at Smorgasburg in Williamsburg. The event is free & open to the public. Address: 27 North 6th St. (between Kent Ave. & East River). I plan to hang out there most of the day. Some of our musicians may make an appearance. Or maybe they won’t. Not sure! If all the above was a bit too inside baseball for you — hipster baseball? — these links might clarify what the event is. Here is a video about a similar event that happened in London last May.